Yesterday was quite a day! We started at 5:45am in order to be on time for the much anticipated seating appointment! I loaded up Makenzie;s bag with toys and books and we headed out the door. When we arrived the deliberation began on how to best get a good mold of Makenzie for her chair. The seating specialist was very attentive as the PT's spoke and we came up with plan one and plan two. Makenzie has a lot of movement and she is not afraid to use it! She also does not like to be forced into any position which made this task at bit daunting but at the end everyone agreed that we got a good mold! Makenzie did great! There were only a couple of tears at the end but other then that she tolerated the whole ordeal very well! We will go in again on Monday. They will have the seat made.The wheelchair base will be there and any adjustments to the seat will be made at that appointment. The third and final appointment will happen on Tuesday. All of the hardware will go on the base and be fine tuned. 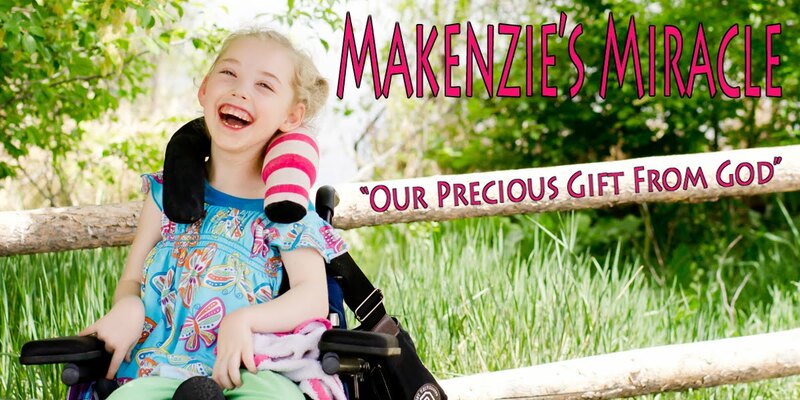 We should be able to bring Makenzie's new chair home then! Yippy!!! Here is some video clips I took of our appointment. Today Makenzie had a great day! WE went outside and walked up and down the side walk with Ms Em during her PT! Makenzie LOVED it! She though playing chase with her friend was a ton of fun! She had a good PT session and OT went great as well! We spent tonight with my dad for a very yummy birthday dinner! I love being with my family and it sure did top off an already great day!! !